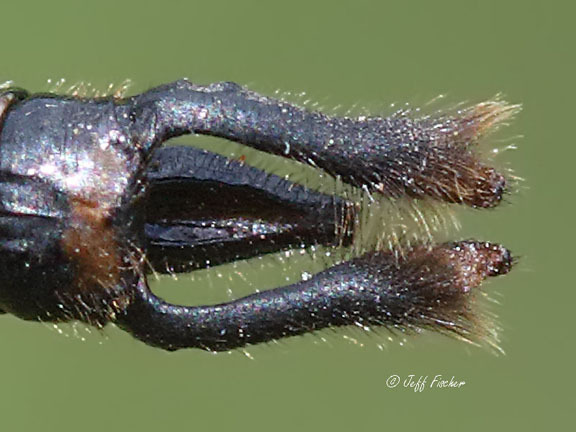 Dragonfly families can typically be distinguished by their eyes. 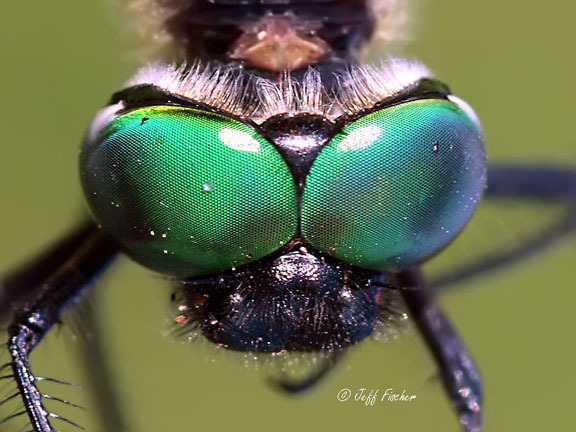 All dragonflies have compound eyes but some families of dragonflies have eyes that are separated, like a hammerhead shark, some have large eyes that look almost like a helmet, some have eyes that connect in a single point and look like an infinity symbol. Many of the members of the emerald dragonfly family have emerald eyes. This is the face of a brush-tipped emerald, Somatochlora walshii. WOW! Now these are a wonderful CLOSE UP!